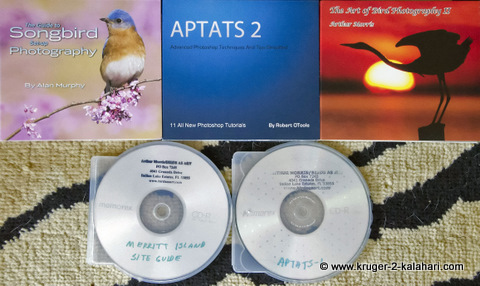 Nature Photography Books - learn from the masters! "One of my rare but consistent rant topics is that folks with expensive camera gear simply do not take advantage of the fabulous educational resources available today and in addition, many if not most are not willing to study, practice, and do the work that is needed to improve their photography." 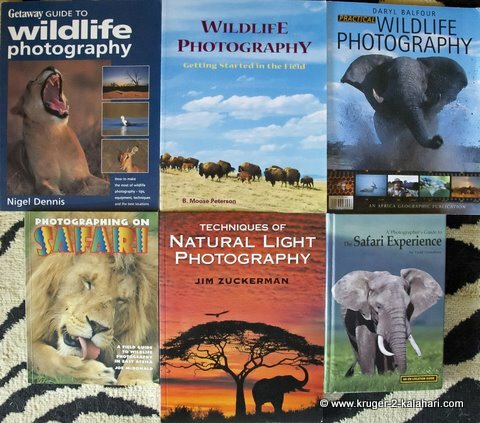 We love reading so when Jenny and I decided to take up wildlife photography in 1995 we realized we had a lot to learn and the fastest way to gain knowledge was to read books written by professional nature photographers. We used to have more but got rid of the books we did not like. Some of these books are filled with brilliant information from start to finish while others have a few priceless golden nuggets. Obviously some of the content will be the same or similar so once you have read one book you then understand the principles of exposure, composition, perspective etc. 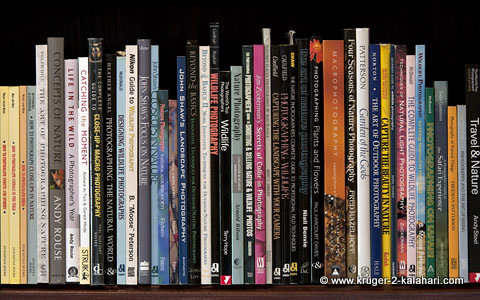 You may then be wondering why we have so many books - well each photographer has something unique that we pick up in the form of hints or tips that makes the book valuable to us. In addition we like admiring their different styles and photographs and trying to work out how they took the photograph - where they were, what equipment they used etc. and then we try to emulate their photograph. Each author has his or her own photographic and writing style but at the end of the day they all provide us, and can provide you, with immense value. We have books written by other well-known nature photographers such as Art Wolfe, Frans Lanting, John Shaw, Tim Fitzharris etc., but the following are our favorite authors that have provided us with the most benefit from reading their nature photography books and photo blogs. These downloadable PDF books and site guides range in price from as little as UD$5,00 to UD$50,00. You have paid thousands for your photography equipment and a few thousand more to go on safari - please don't be 'penny-wise and pound-foolish' by skimping on learning! In addition to our 50 hard books we must have at least 50 nature photography eBooks. They are cheaper than traditional books, easy to download and you can take all of them with you on your safari because they take up no space sitting on your laptop or Kindle! Our advice is - Spend a few extra dollars to learn photography skills thereby getting value from your investment in your equipment. These photographers are among the best nature photographers in the world and their nature photography books provided us with our wildlife photography foundation - they can do the same for you.